$7.30 /SF (8 SF Box) Corners and other packaging units available. Contact us for pricing and quantity discounts. 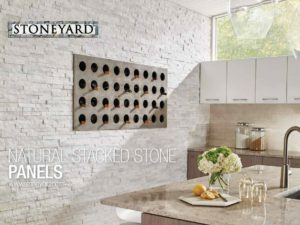 Local pickup and direct shipping anywhere in the USA. 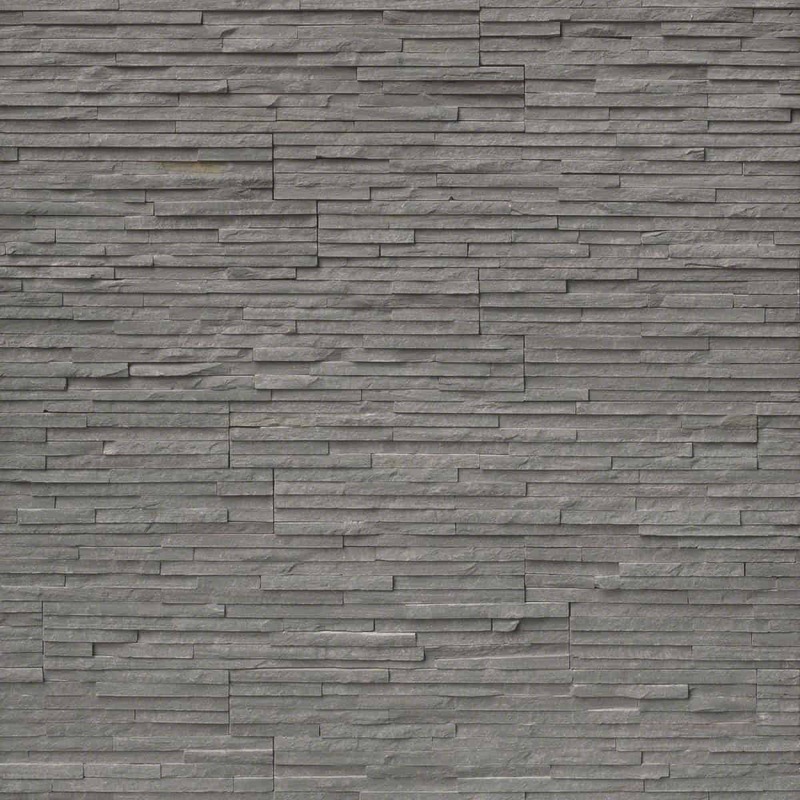 Charcoal Pencil Stacked Stone panels feature split face gray slate. 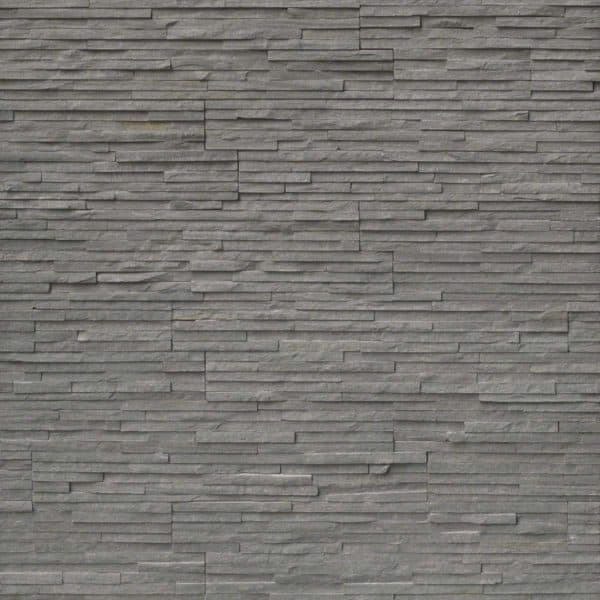 The thin strips of slate gives a contemporary twist to a traditional material. 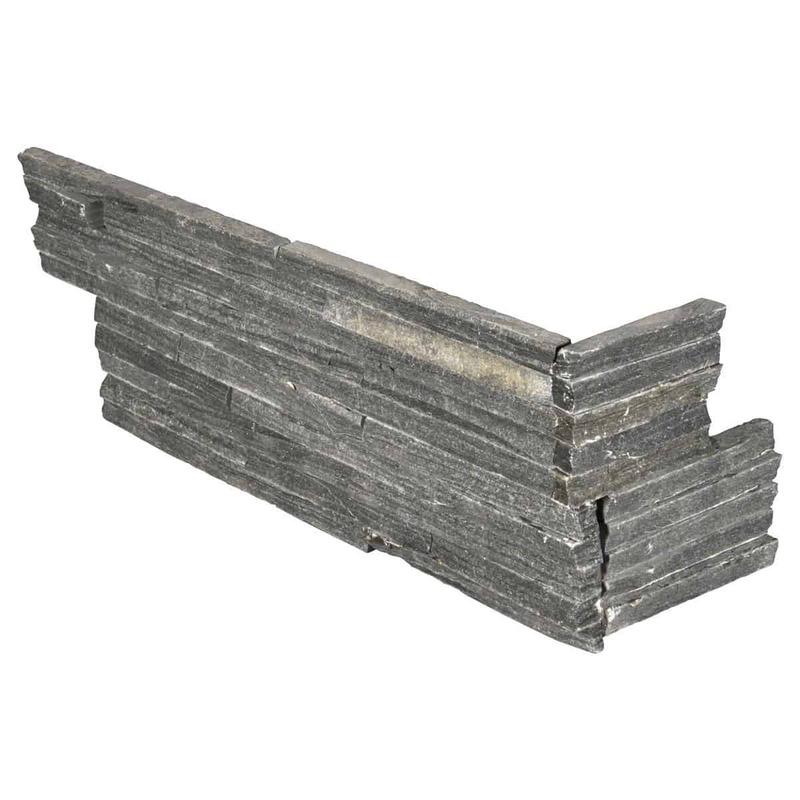 Suitable for a variety of projects including backsplashes, accent walls, and cladding of support beams, retaining walls, and structures. Matching corners are available to finish off projects.